"... The work is brutally direct. 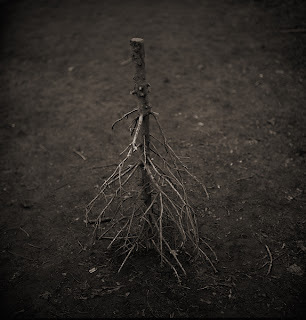 Devoid of flim-flam; devoid of trickery and any 'ism'; devoid of any attempt to mystify an ignorant public, including the photographers themselves. These photographs are the direct expression of today..."
Read more about Alfred Stieglitz, Paul Strand, Gallery 291 and Camera Work on the F Blog. Just type the words in the field up left saying "search this blog"
work of the lecturer of structural engineering is not really linked strongly with artistic photography. 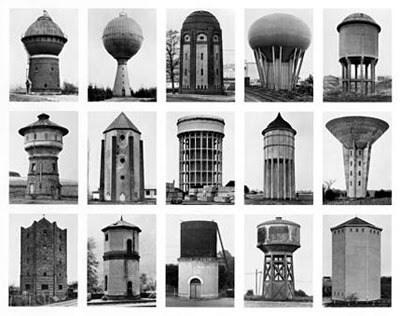 During preparatory works for new lectures of water tanks I realised, that those two of my passions are connected by two persons - Hilla and Bernd Bechers. Their typology of industrial buildings may serve till today for the SE lecturer as the base for the general characteristic of advanced industrial structures. 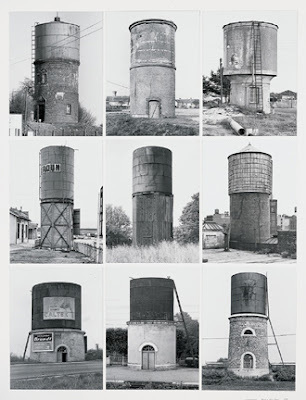 pictures by Bernd and Hilla Bechers.